Sugar Ray Robinson was one of the best pound-for-pound boxers of the 20th century, compiling an astonishing career record of 173 wins against only 19 losses, many of which came long after Robinson exited his prime. Robinson had ferocious punching power, recording 108 wins via knock out in his lengthy career. 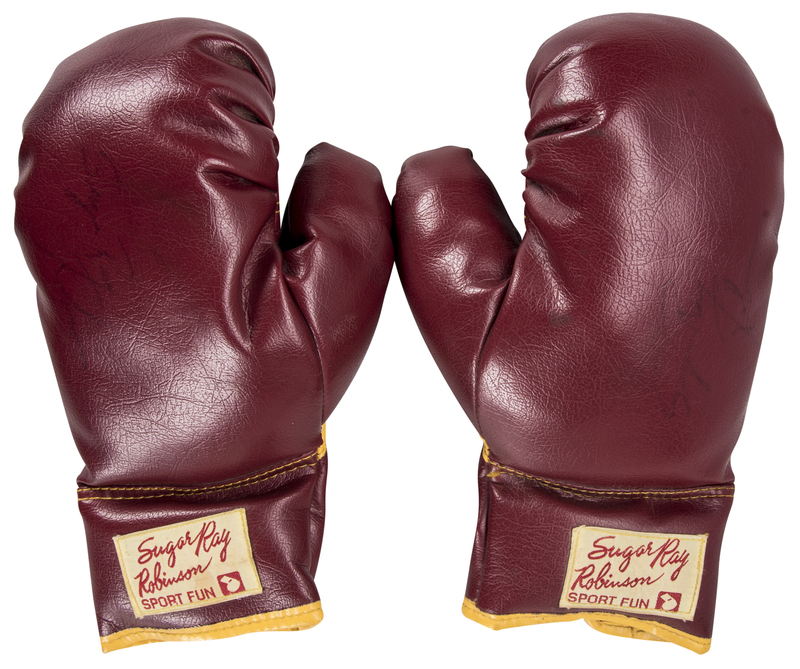 Offered here are two Sugar Ray Robinson “Sport Fun” endorsed gloves signed by the champ. 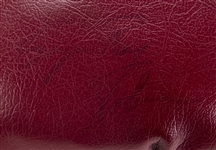 Robinson has signed the top of each glove in black marker. 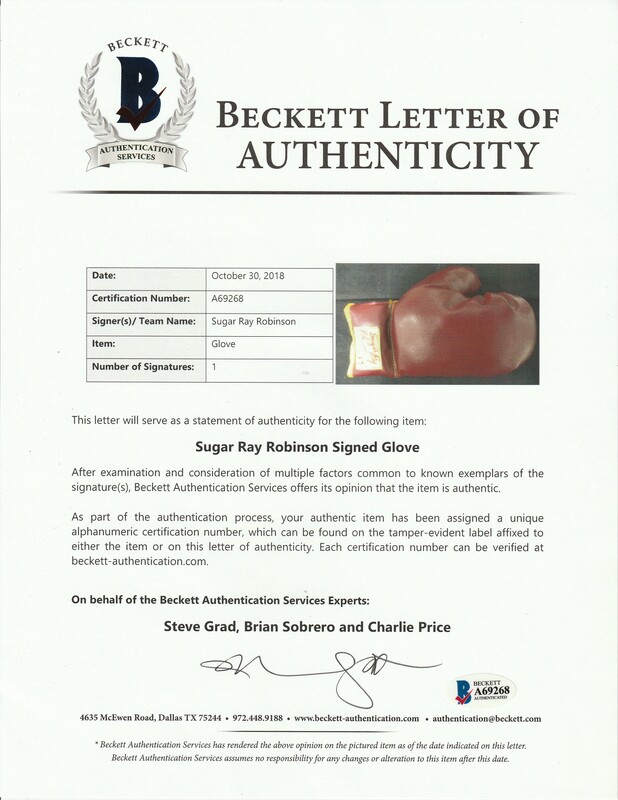 Both red gloves have a “Sugar Ray Robinson Sport Fun” tag sewn on the wrist. 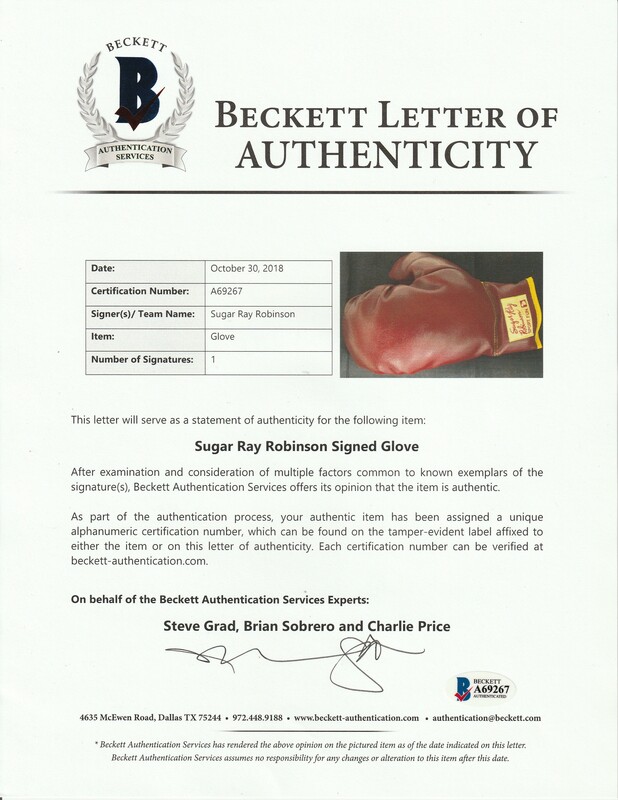 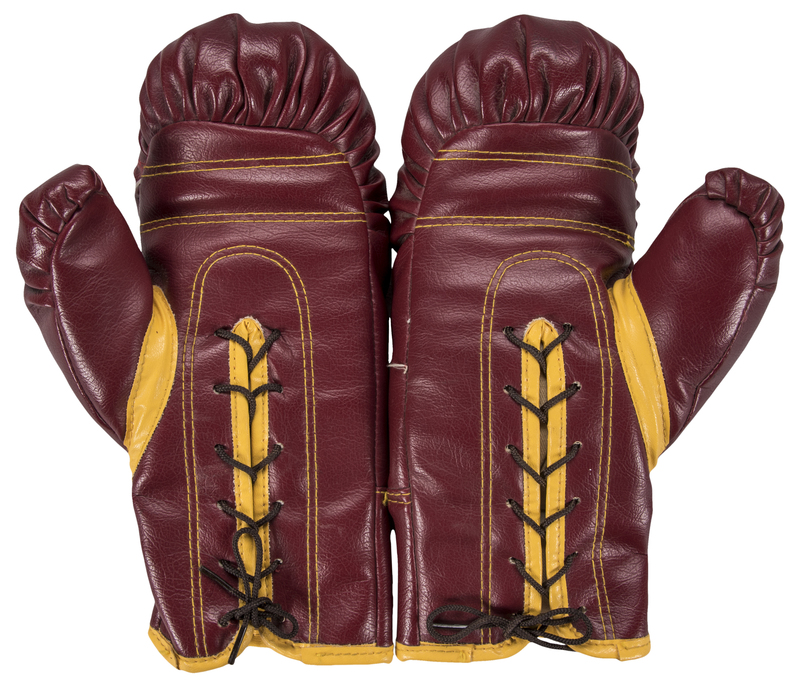 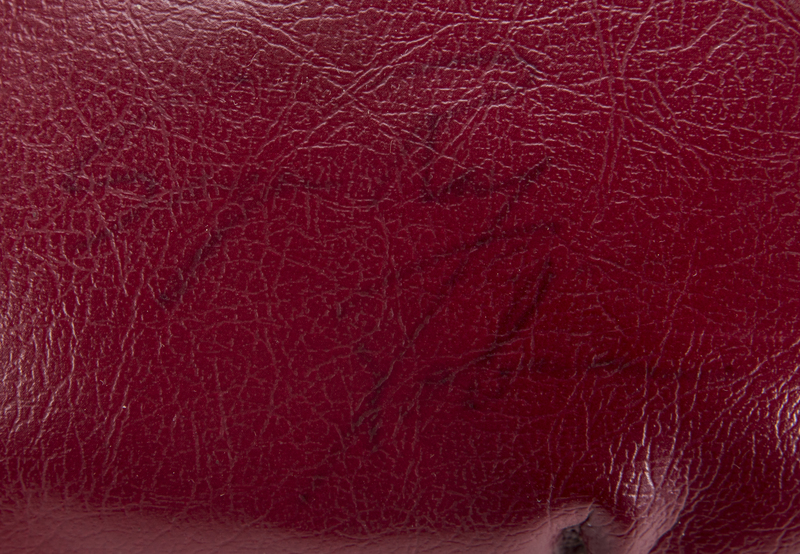 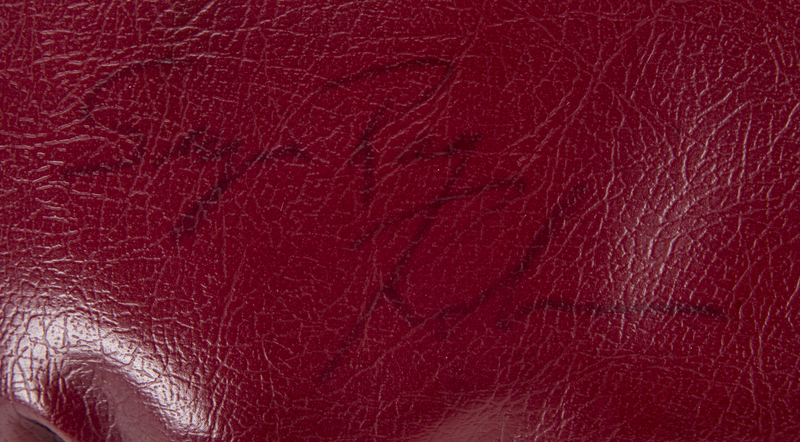 Each glove comes with a LOA from Steve Grad of Beckett Authentication Services (A69267, A69268).